The above products are recommended for installation or mounting of the 6910 Handrail. The strong, yet sleek, 6910 handrail is often called the “Breadloaf” because of its rounded top and wide base. If you are looking for a more robust handrail that maintains a slim appearance, this is a great choice! The easy-to-grip proportions of the 6910 handrail look excellent in any home or business. 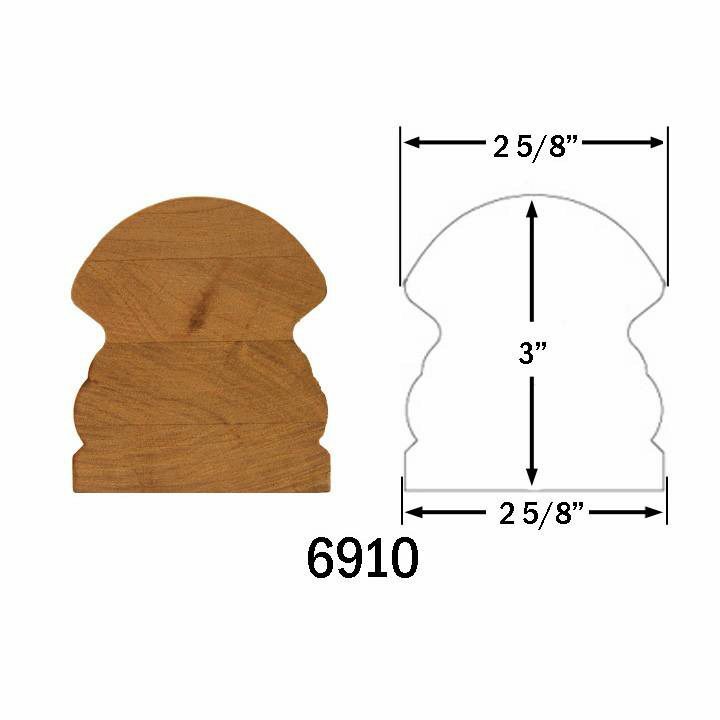 Square-Top Baluster Mount: The 6910 Handrail can be plowed at widths of 1”, 1.25”, and 1.75” to accommodate Square-Top Balusters. 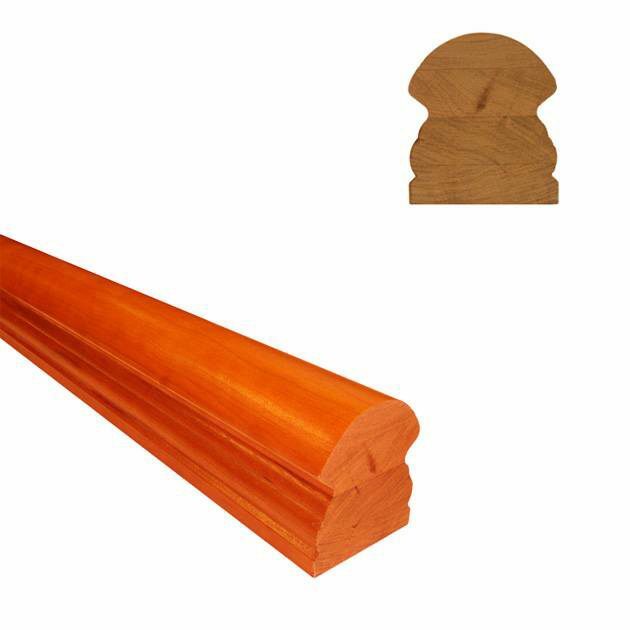 When ordering plowed handrails, don’t forget to include Fillet in your order to fill the openings between balusters after installation. Bracket Mount: The 6910 Handrail may also be mounted using Handrail Brackets for Wall-Mounted Handrail. Be aware of code requirements in your area. Most codes require wall-mounted handrails to terminate into a wall. 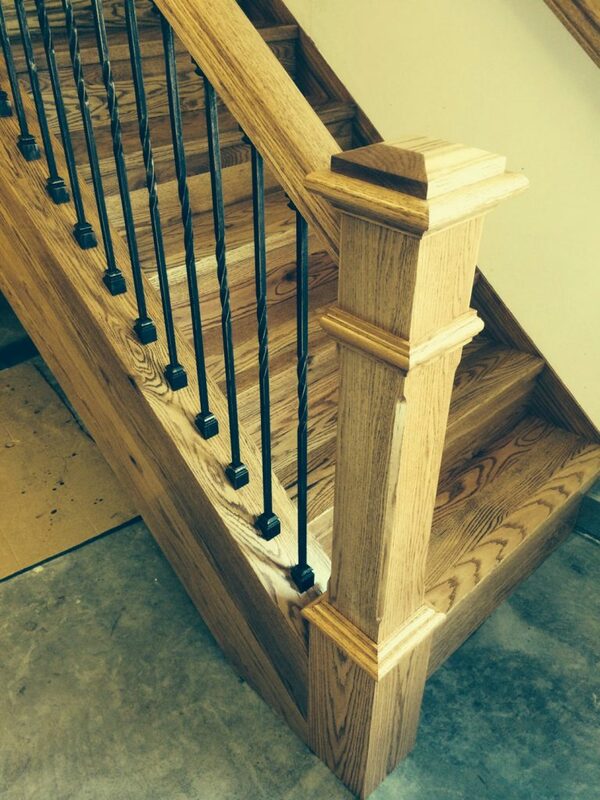 For that reason, Quarter Turn and 45 degree Mitred handrail endings may be necessary. 6910 Returned End Handrail, which has both ends rounded over in the same profile.